For the past three decades, photographer Joe McNally has been documenting our times on assignment for publications like LIFE, Time, National Geographic, Sports Illustrated, and many others. Highly regarded as a master of light, both natural and artificial, Joe continues to create stunning imagery all over the world. Much sought after as a photographer, lecturer, and teacher, Joe educates and inspires shooters of all types--pros, hobbyists and beginners--with The Language of Light.In this DVD set, Joe shares almost 30 years worth of field knowledge, instruction, and philosophy about using light as a powerful tool of visual communication. He fully explores and explains different lighting techniques, and goes well beyond the "how" all the way through the "why," of using light. Small flash, hard light, soft light, light with color, light in the studio, and light on location are all dissected and explained. You see and hear all about the f-stops, shutter speeds, lenses and light shaping tools, and you are taken further into the reasons why a one lighting approach is better than another for certain scenes, faces or groups. All along the way, Joe offers tips, tricks and solutions that can only be gained from 30 years with a camera to your eye. 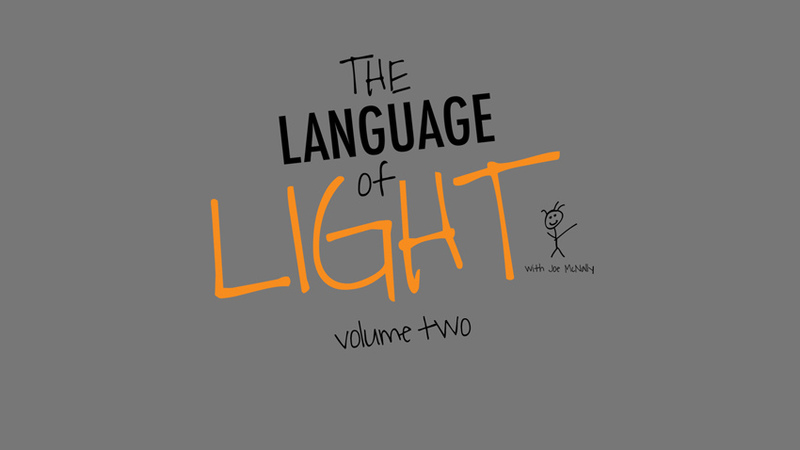 Sit back, relax and enjoy as this legendary shooter takes you on a fast paced, humorous, and always informative journey about how to speak with light.